BEIJING, July 30 (Xinhua) -- China will hold a grand gathering at the Great Hall of the People at 10 a.m. Tuesday in celebration of the 90th birthday of the Chinese People's Liberation Army (PLA). 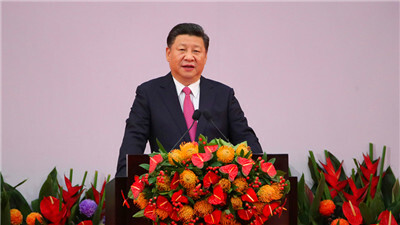 Chinese President Xi Jinping, also general secretary of the Communist Party of China Central Committee and chairman of the Central Military Commission, will attend the event and deliver an important speech. The event will be broadcast live by the China National Radio, China Central Television, China Radio International and several official websites.